The team took part in the Women’s Expo Houston and its 10 thousand female participants; they trained 60 travel agents in Houston, 80 in Dallas and visited 60 agencies in the region to leave promotional material. The promotions departments of the Riviera Nayarit Convention and Visitors Bureau and the Puerto Vallarta Tourism Trust went on Tour through Houston and Dallas from April 9-14, 2016. Texas is the third place of origin among the states that send tourists to the Riviera Nayarit, with 7.9% of the total. As far as cities, Houston stands in seventh and Dallas in ninth overall. The Women’s Expo Houston took place on the 9th and 10th of April, an event directed at women and their interests including beauty, fashion and travel. Around 10 thousand women attended the event and the destinations took advantage of the showcase along with four regional hotels. On April 11th, a group of 15 hotels from both destinations visited travel agencies in the Houston suburbs; they were divided into five groups that together were able to see over 30 agencies. This was repeated in Dallas on April 14th. 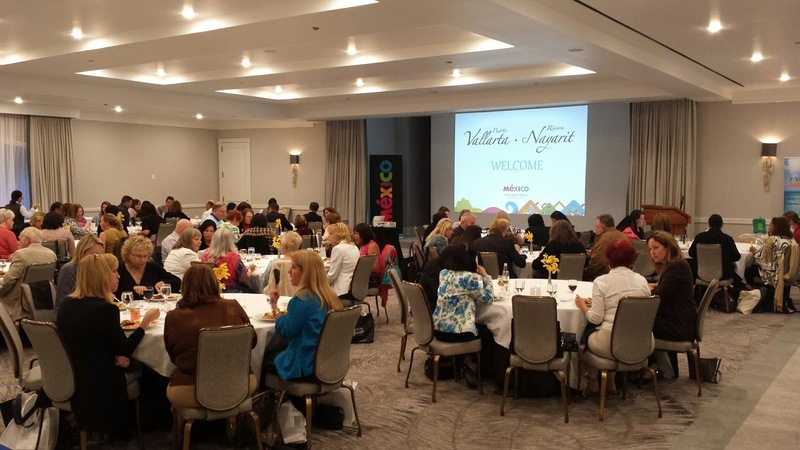 On April 12th the team and 18 of the region’s hotels gave a presentation for 60 travel agents and four of the top wholesalers in the Houston area. They then made their way to Dallas for a second presentation on April 13th before 80 travel agents and six of the most representative wholesalers in the area. Representatives from Aeroméxico and the directors of the Texas office of the Mexico Tourism Bureau were present at both events.